A perfect travelling companion these 3 in 1 mouse mats have full colour print on one side. 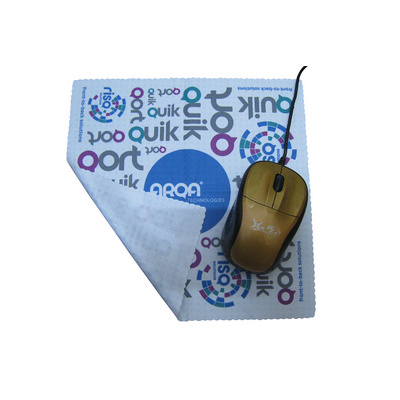 Front side is a microfibre cloth 230g/M2 and the reverse has a silicon finish to allow the cloth to sit firmly and become a travel mouse mat. Also can be used to protect your screens device. Price includes full colour print one side. Optional paper box also available. Price includes: Full Colour One Side. Setup is included.